Dr. Gupta is a wonderful doctor, very patient, takes time to explain what's going on, answers questions and is personable. He made me feel comfortable throughout my surgery, as well as prior and subsequent visits, and everything went as he said it would. I highly recommend him. Aside from his wonderful bedside manner, he is an excellent clinician and diagnostician. He is not an alarmist and has a very nice way with people. He is overwhelmed with patients and needs a bit more time in his daily work enviornment. I highly recommend him to anyone with orthopedic issues. He is an amazing MD. He is quite efficient and very polite. he is quite patient, and he will answer all of your questions. Dr. Gupta is the greatest doctor I have ever met. He is not only super educated, quick to properly diagnose your condition, devise a cogent treatment plan, but does it all with a smile and compassion that is not typically seen. He will never rush you out of the room and will make sure that all your questions are answered completely. Once you reach the surgical stage you will be in the best hands possible as Dr. Gupta excels in the operating room. Dr. Gupta is one of the best orthopedic surgeons in NYC that I have encountered. I have an old wrist injury that I had seen several hand specialists for and Dr. Gupta by far leads the pack. From the minute he walked into the room, I felt that he cared about me and also had the clinical knowledge to quickly assess my problem. He also took the time to create a detailed plan with me, to get me back on the road to recovery. I would 100% recommend Dr. Gupta, as his skills, knowledge, and bedside manner separate him from his peers. Dr. Gupta is a fantastic surgeon. He diagnosed my issue immediately and I was scheduled for surgery the same day. His bedside manner is direct, compasionate, and carring. My surgery has been a success for two reasons I am a compliant patient and he is a precise surgeon. I would recomend Dr. Gupta anyone who had a hand challenge. Dr. Gupta is such a wonderful / great doctor and as a person as well . He treated me professionally with kindness . He did a very good job on my hand .His skills is excellent and bedside manner is superb. And I would give him a high recommendation to anyone. 5stars rating. I had a complicated dislocation/break/and tendon tear and Dr. Gupta approached it systematically and I am now on the way to a full recovery. He is extremely thorough and makes sure his patients understand what's going on at all times. His staff at Union Square is top tier, as well. Kind, smiles, and attentive and very professional. My experience at Dr. Gupta's office was one of the best I have ever experienced at a doctors office. The office called me to confirm both my appointments and I was taken right away & on time for both. I was tended to immediately by his very professional & staff both at the front desk as well as the x-ray tech's and anyone I came across while I was there. I found Dr. Gupta and his staff to be very friendly as well as informative about my diagnosis as well as follow up and home care. I would recommend him to all my friends and family. Top notch organization. Dr. Gupta was wonderful from the start of my road to recovery after a terrible bike accident. The fall I took resulted in a fractured wrist which I thought may require an operation. 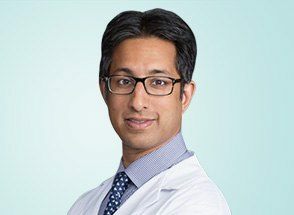 Dr. Gupta took his time explaining my options and was not quick to suggest surgery as many physicians I have dealt with in the past tend to do. I felt very comfortable working with the doctor and his staff, and all of his suggestions for my treatment plan were correct. I would recommend Dr. Gupta to anyone seeking out a specialist of his nature. I am happy to say that I am completely healed and ready to get back on the golf course! Great Doctor. Dr. Gupta performed surgery on my hand. He has a warm and friendly personality. His bedside manner both in the office and in the hospital made me feel immediately at ease. My surgery was a big success and I had almost no discomfort. I am so happy my GP recommended him. I am thankful for everything he did for me. I had a great experience with Dr. Gupta. He was clear, thoughtful & I left the office feeling confident in his diagnosis & treatment. I would recommend him in a heartbeat. Very friendly and helpful staff and doctors. Highly recommend. Dr. Gupta, Leslie, Santa are GREAT! The whole office is friendly and ready to help. I went in with a Trigger finger, and was worried and had lots of questions. After meeting with Dr. Gupta he answered all my questions, made me more comfortable about having surgery. He really knows what he is talking about, very through. I did try another Dr before coming to Dr. Gupta and had bad luck..I wish I would have started with Dr. Gupta from the beginning. Both Dr. Gupta and Dr. Diamond have offered kind and attentive care. For both of my visits I was seen right away and they worked within the limitations of my insurance to offer great care at a great value. They both have warm personalities and have displayed great professionalism. While I hope to not have to see them again, I am glad to know that if I become injured in the future, I have a great team to go to. I had a great experience working with Dr. Gupta and Leslie Diamond. Dr. Gupta explained the situation with my broken finger very thoroughly and sent me to Leslie for a series of custom splints which healed my finger and then rehabilitated it so effectively that I did not require additional physical therapy. I was very impressed with how well the treatment went. I would definitely recommend to anyone with hand issues. Dr. Gupta and Leslie are both incredible. I always feel supported and know that when they spend time with me they are listening to my concerns and helping back to the road of recovery. Thank you! I could say with firm confidence that you will obtain complete satisfaction after being evaluated by Dr. Salil Gupta. His examinations are very thorough, gentle, and just spot on! The establishment is neat, the staff is genuinely friendly and the front desk ladies are probably part-time models. I was fortunate enough to be seen without a long wait, but if I had to, I wouldn't mind sitting in the waiting room for a while because I know that Dr. Gupta is well-worth the wait. Im my personal opinion, I'd say he's the best in the business in regards to wrist/hand specialist. Met Dr. Gupta for a broken finger. Although a relatively simple problem, he did a find job of evaluating the fracture, and took time to study the finger and answer all my questions. Dr. Gupta and his staff were fantastic! My visit today is great. My wife saw him few years ago and she recommended him to me. Extremely patient, informative doctor. Very professional. Highly recommend Dr. Gupta. A wonderful doctor who demonstrably cares for his patient's well being. Very personable and knowledgeable, and really takes time out to understand why you are there, to explain his diagnosis and the necessary treatment regimen. Excellent doctor. He takes his time to answer all your questions and leaves you with the confidence that he genuinely has your best interest at heart. He is a wonderful doctor. even though the office was very busy he sat and talked with me and I left understanding why my hand was in pain. He gave me a plan to follow and i have confidence it will work. Really appreciated my appointment with Dr. Gupta, he seemed to be very knowledgable and honest. My only real complaint is that it seems like this office overbooks and tries to squeeze in as many appointments every single day as possible. So during your visits you can feel rushed, and often there are long wait times. He's great. He really cares about the patients and spends time explaining what the problem is-- and what the problem is not. Morning visit, everyone was very efficient. I really appreciated the care, focus, support, clarity and intellect of the doctor and everyone who works in the office (front desk, MRI tech). This was a very positive first visit and I would recommend Dr. Gupta and this office, fully. Everything was fine except the long wait to be seen by the doctor. Dr. Gupta was good about thoroughly explaining what he believed my injuries were, how long they would take to heal (roughly) with treatment. He also requested xrays to be sure and answered my many questions. I would recommend Dr. Gupta without hesitation, he was quite good as a doctor and gracious. However, the wait time to see him was quite long (over an hour) so be sure to give yourself extra time. This is a busy office with several different doctors. I arrived 20 minutes early to allow for paperwork and was called in 10 minutes after my scheduled appointment. Consultation was done within 10 minutes, x-rays were scheduled and completed with 15 minutes, the doctor returned within 5 minutes after the x-rays to review next steps. His manner was completely professional, thorough, and clear about possible risks and other complications of each treatment option. I was done within an hour. I've had 6 surgeries spanning over 20 years. Dr Gupta was concise, article and supportive. Very impressed with his professionalism and highly recommend him. This doctor was so nice and so was all the staff. I thought Dr Gupta was very effective at explaining his diagnosis and reasoning behind treatment options. Bedside manner was gentle, efficient, and felt thorough. I came understanding what he looked for and how he arrived at his conclusions. The Dr is very thorough and has a good manner with his patients. He explains things well and is efficient and caring. He is an excellent Physicaian who takes great care of his patients. Very quick yet thorough, was in and out in 40 minutes which included getting an xray and going over the results. Dr. Gupta is very friendly and has great bedside manner. Dr.Gupta is one of the best if not the best Hand sergeon by far. I have seen Dr. Gupta before. He is thoughtful and conservative, explains options clearly. The NYU office is chaotic (I was given a stack of pages to fill out and sign, including one that asked that I acknowledge that I have a hairline fracture, without having seen a doctor!) but Dr. Gupta is great. The office was very pleasant and professional. I would recommend Dr. Gupta. He has excellent manners and very thorough and knowledgeable and understanding. Excellent Dr. well worth the wait time. Very wise, thorough, and know's what he is doing! Makes you feel comfortable and covers all the bases needed before proceeding to treatment. Highly Recommend! Incredibly understanding. Asked good questions to understand my problem. Clearly has expertise and understanding of patients desire to be active but still dealing with injuries.